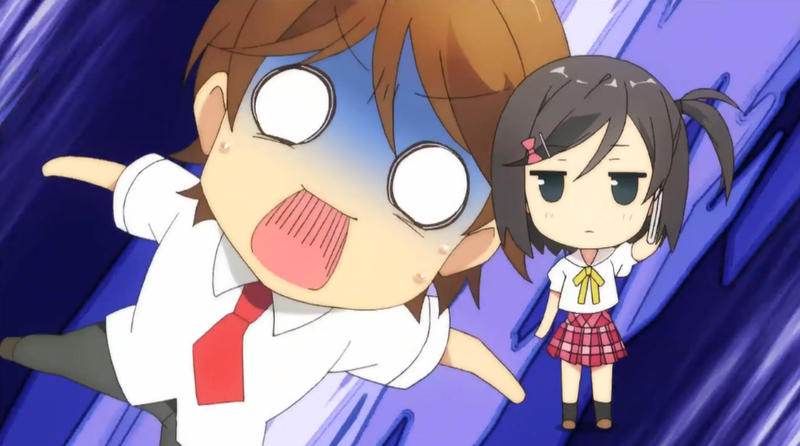 Recap:Things have taken a rocky turn between Yoto and Azuki. Tsukiko attempts to take advantage of this by spending some more time with him, but gets cockblocked by a mysterious loli. It would appear she has the power of the wishing cat as well, and makes high school a paradise for Yoto. It seems we’re dropping Tsukiko’s personal problems for now to tackle a new Azuki arc. I’m going to run on the assumption that this Emi is the result of Azuki’s wish to become a new girl. I’m not sure whether there’s bodyswapping shenanigans going on, or whether or not Emi is a person created specifically to appeal to Yoto, but by the way the two of them acted, obviously something is up. I’m kinda confused as to why this is the form specifically, especially considering Yoto’s established tastes. I suppose all he’s been telling us about wanting a shapely girl could possibly have been teasing or hiding his true feelings. 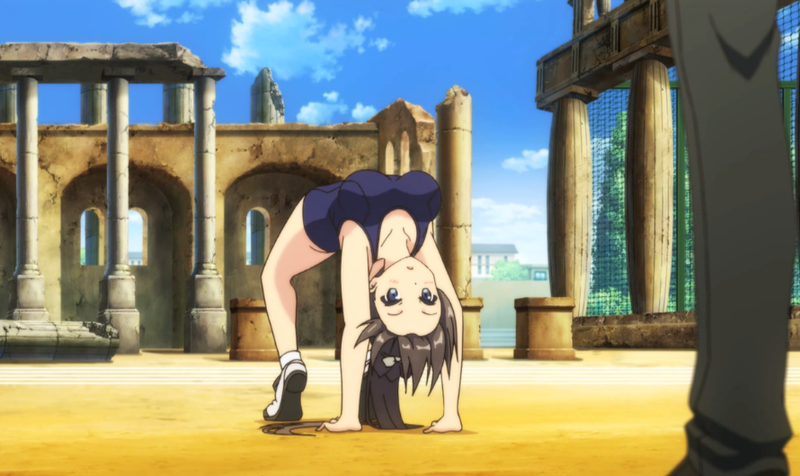 I’m glad to see Tsukiko back to her old self. Her straight-man quips are some of the best parts of Henneko’s comedy, so it was nice to see them return in force. They also did way more this episode to show her emotions through her body language. My favorite part by far has to be her totally muted cry when she realizes she’s been wish-duped into thinking her school swimsuit is the uniform. I definitely sympathize with her the most, being abandoned by Yoto just as she was trying to get closer to him. 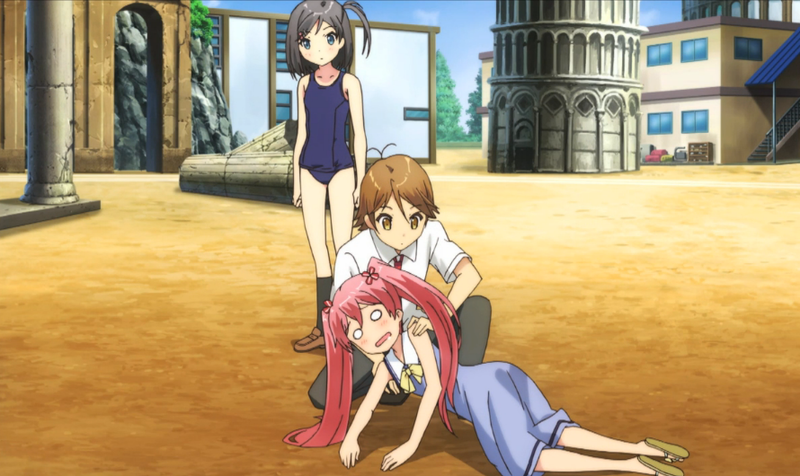 I suppose after such a serious episode as last weeks, they really had to pump in the perversion here. I can respect the idea of every teenage boy’s fantasy being played out. Plus, the idea of the entire female student body wearing their swimsuits is just on the right side of the scale to be funny without being too perverted. I’m trying to figure out if the scene with Tsukushi was supposed to be a double entendre on-top of a double entendre. Since japanese doesn’t use vs, it pretty much sounded like he was calling them “ebreasts”. Speaking of her, the idea that she’s suddenly in love with “Yoto’s brother” is kinda out of nowhere, but I guess it’s kinda necessary to keep her relevant to the plot. By the end of the episode, Yoto is starting to get what’s wrong with all that’s happening at school. While I’ve yet to be validated on my theory, there seem to at least be some heavy implications. Plus, it seems the real Emi, his friends rabbit, might also come into the main stage, as he’d fit the bill of the one seen on top of the stony cat in the OP. 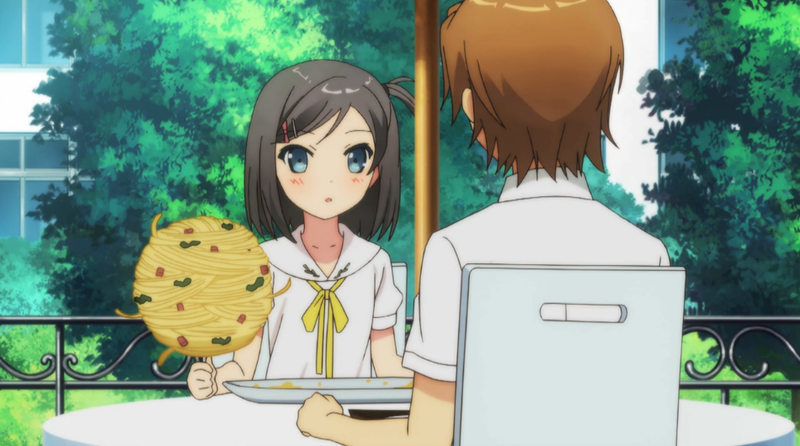 Honestly, I’m not too worried about where Henneko decides to take this plot. As long as they keep the jokes flowing like they did this week, I’ll be happy.